OH MY GOD I AM OVERWHELMED WITH THE ADORABLENESS OF THESE!!!! Ok, I'm trying to compose myself, but it's not gonna be easy. 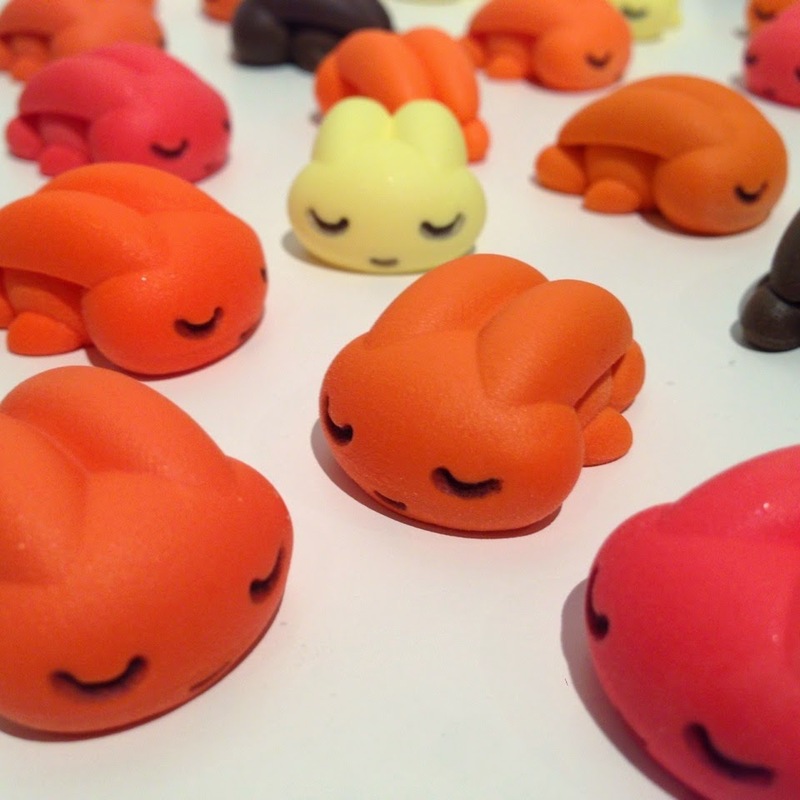 I want to put all of theses bunnies in my mouth and carry them with me wherever I go. 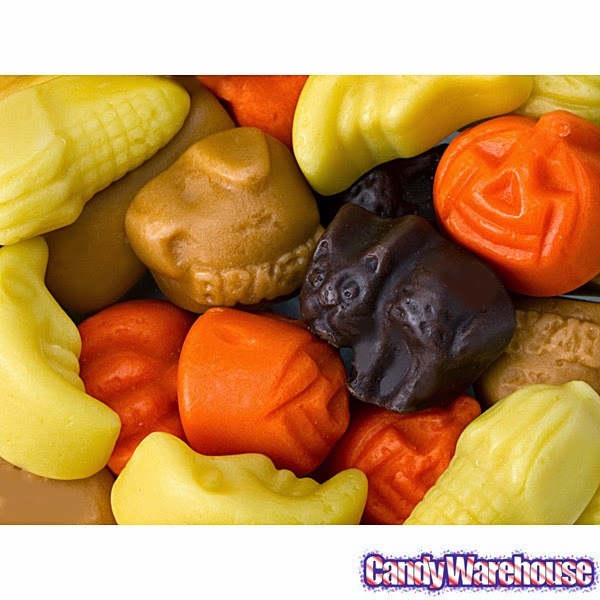 I kinda wanna eat em too though, as they look like those Halloween candies I used to eat when I was a kid. Why, these very ones in fact. Behold, the magic of the internet! Though I have to admit I was a little biased and only ate the yellow and orange ones. Back then the flavors I rejected just ended up in the trash, but now when I buy a bag of assorted candy I take the crappy ones to work and put them in the communal candy jar. Not only am I not being wasteful, but I am also tricking my coworkers into thinking I'm a nice person and not someone who would push them into traffic with very little provocation. Plus, it's easier to shove someone into the path of oncoming cars if they aren't expecting it. It's survival of the fittest, punks! But really, these bunnies are about the cutest things you'll ever see in your life. Peter Kato is introducing this newest line of critters in a special Sweet Harvest Edition as an exclusive for myplasticheart at New York Comic Con. They are limited to only 30 pieces, sold blind, at at only $12 each will probably not last very long. Get to booth # 113 early to get one.